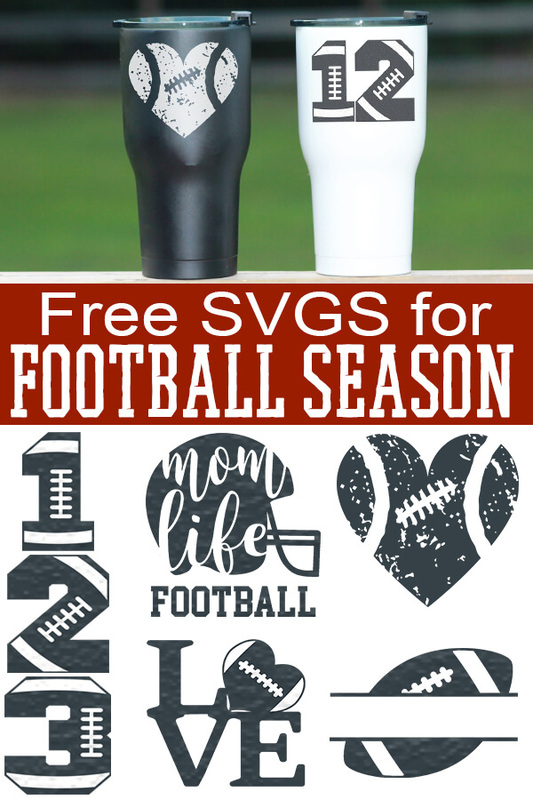 You are here: Home / Digital Crafting / Free Football SVGs – Football Season Never Looked So Good! 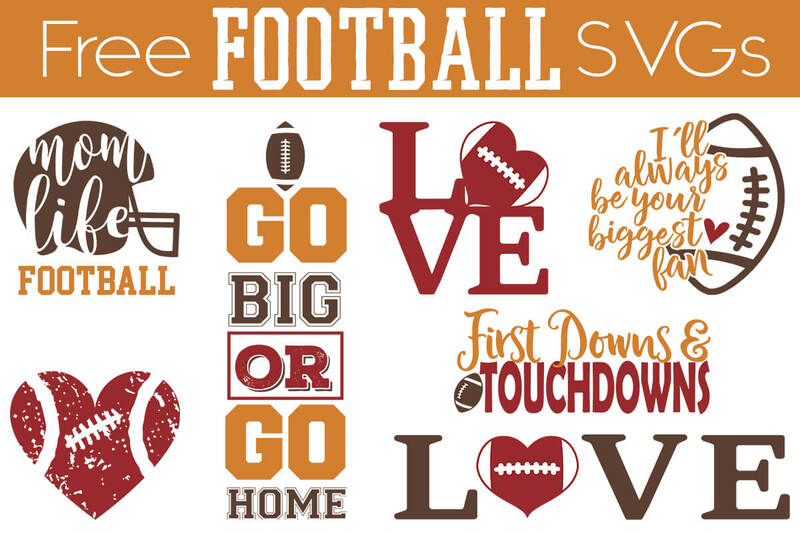 These free football SVGs and cut files will have you crafting for all the football fans in your life. We’ve rounded up some amazing free cut files for you! You can get notified when we publish (or update) any digital crafting collection by signing up to our once-weekly newsletter. First, let’s talk about project blanks. Not all items are created equal, so I thought I would share my favorites in my Amazon shop. If you want to combine the free football SVGs below with a fun sentiment, here are some football sayings. 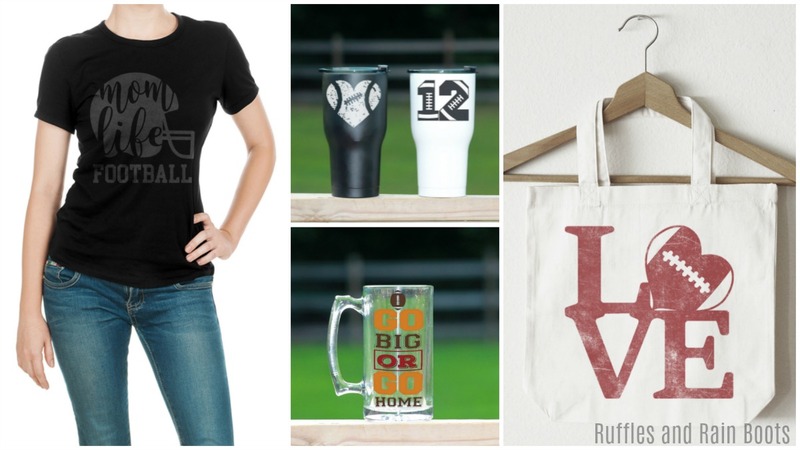 Most of these are perfect for making football gifts for the biggest (or tiniest) fans. Sundays are for Jesus and football. Sundays are for beer and football. Sundays are for family and football. My heart belongs to a football player. My heart is on that field. Life is better with football. This is a collection of free football SVGs. You must click through each item to get them. In order to download, click on the link (underlined in blue) and follow the download instructions. I have tried to group them by type but friends, click through to find so much more. Go Big or Go Home – Truer words were never spoken. Football season is just too short to phone it in! Distressed Football – I love this for a t-shirt because it’s understated but still cute. Also, it’s available with a commercial license, too! 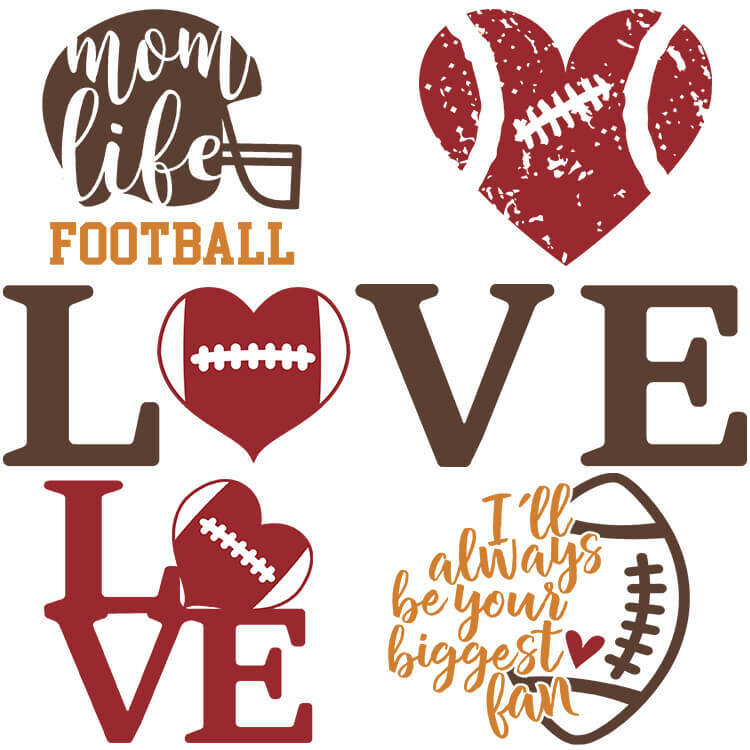 Mom Life: Football – With the practice, gear-hauling, and feeding, mom deserves a few bragging rights! Guess what? You can use it with this commercial license. All Sports Heart Monograms – I happen to love them all. If you happen to sell your crafts, your customer can love them too with a commercial license. Football Love – The city of brotherly love started it all and this is now an icon! First Downs and Touchdowns – This is perfect for a coach’s notebook or a cheer squad’s sign. Football Bow – Say it with me… Awwwww. Football Treat Box SVG – Don’t you just love it when someone (else) creates a cute favor box? This football treat box is a quick project and economical (2 boxes per sheet). We can’t leave out the cheer squad! Cheerleader Silhouette – It should be in any crafter’s toolbox, right? No Fear, All Cheer – You have to be fearless when you’re tumbling. It’s just sort of par for the course. And if you’d love to use this for products you sell, guess what? You can get a low-priced commercial license. Happy dance. Keep Calm and Cheer On – Word. I remember cheering through a thunderstorm in Texas. We love our football, and nothing is going to stop it! Psst: this is also available for commercial use. Biggest fan – I had to buy this because it’s a clean design and works for anyone. This is a complete set! You can do designs and monograms all for less only $2.50! Because what gal couldn’t use a little glitter in their life? Hint: the answer is no one; everyone benefits from glitter. It’s the happy crafting supply! Faith Family and Football – What a great design. What are you going to make? I think you might already know, but I’m a huge fan of snack trays! I am not understanding your commercial liscences. Do I need to purchase one for each product I plan to use the file on? I have never come across this before. Can you please explain further. These are not my images (this is a roundup of the SVGs I’ve used on products and recommend). In order to get the commercial use license, you will need to click through and buy them from the creators, if they are offered.